This page spells out the policy that covers how Padronius treats the information that it collects. This policy does not apply to the way in which companies that are not affiliated with Padronius conduct business, or to people that Padronius does not employ. The statements on this page apply solely to the business practices of this business and its website. E-Mail Policy and Newsletters. What happens to your e-mail address when you provide it to us? Identifying Purpose. (p.ii) How do you know what the information you submit is used for? Submitting a Request for Proposal or Project Cost Estimate. Collecting and Sharing Personal Information. Limiting Collection. (p.iv) How much information are you required to submit for a directory listing? Directory Ethics. What is it that we don't accept in our directory? Openness. (p.viii) Where do you find information about our policies and practices? Individual Access. (p.ix) How do you know what information we have about you? Challenging Compliance. (p.x) How do we handle policy issues? Copyright Infringement Issues. How should YOU, and how DO WE deal with them? Other Legal and 'Fine Print' References. You are not required to register or identify yourself in any form, shape or manner in order to enter or move about the www.padronius.com web site. However, while here, you are on a new territory. This means that, for the time of your staying, you are subject to the rules set forth here for this domain. E-mail Policy. What happens to your e-mail address when you provide it to us? Inform you of changes in service/s, if any, and that only if it directly concerns your directory listing, ad or project under development. Providing your e-mail address to us is a completely voluntary action from your part. In order to avoid e-mail addresses being extracted from directory listings by automated computer programs and robots that crawl/spider the web with this mission, Padronius does not publish e-mail addresses in the directory listings, even if you provide it and ask us to. At this time Padronius does not publish a newsletter. So, you will not receive from us regular service updates, advertisements, offers or notifications. If you would like to stay on top of what's new at Padronius we invite you to visit us periodically. Identifying Purpose. How do you know what the information you submit is used for? When you submit any information to Padronius you do so by using a number of dedicated pages. Each page contains clear, specific instructions and statements that identify the purpose for which the information you submit is used. All information that you submit is used ONLY for the purpose that is indicated on the section, or page, that you use as you do so. The information that you submit to Padronius Directory is used to be displayed in our directory with the purpose of advertising your business. This is a free directory; this means that regular submissions DO NOT GENERATE any money to Padronius. However, for enhanced exposure, you also have the option to subscribe to a number of paid advertising programs. You are free to submit any information about your business, as long as it respects this directory's ethics. If you provided your e-mail address at the time that you made your submission, you do so on a completely voluntary basis. When you do, you will receive a confirmation from us when your new entry has been added to the directory. If, for any reason, your submission is rejected by an editor, you will not receive a notification. Your submission is in conflict with the directory ethics. You did not provide a reciprocal link to this directory. You did provide an URL where a reciprocal link to this directory is supposed to have been placed, but we cannot locate it within 48 hours from your submission. When you submit an ad for the directory all information that you sent to us is only used to create your e-ad and then have it posted on the appropriate page. When you submit a request for a project cost, your information is only used for contacting you in order to send the proposal. Should you decide not to respond, or accept our proposal, you will not receive further emails/phone calls from us. We never follow up on request for proposals or cost inquiries. (i) In an effort to continuously improve our services, (ii) for statistical website performance and (iii) for marketing strategy development purposes, from times to time we post surveys on our site. If you do run into any of them, your participation in our surveys is both voluntarily and greatly appreciated! Padronius surveys WILL NEVER ask you to submit any sensitive information such as age, race, ethnic origin or color, religion, marital status, sexual preferences, income, purchase and spending habits, home address or phone number, weight/height, or any medical/criminal record info. Submitting information to the PADRONIUS Directory is the equivalent of granting us authorization to publish that information in the directory, providing that both you, and us observe the rules/terms of the agreement outlined include in this page. When you make a submission to the directory, you have the option to add a screen capture of one of your web pages to your listing. However, before you send us a screen capture, or your company's logo, check with the corporate communications authority of your company and make sure that they agree with it. "By attaching such graphics to your submission, you grant us permission to publish them in this directory and cannot consider the fact a copyright infringement." Note: The above underlined statement is attached to your submission, interpreted as your understanding of the rules and regulations of this service and, ultimately, it represents your consent. This information we file in our records as an agreement from your part to follow these rules. Without your consent to this effect, the submission/s will not go through. Padronius does not collect personal information. For the purposes described herein, this directory deals ONLY with business information. If you, and your business, are the same entity, i.e. operating as a self-employed business person/proprietor, then you will have to make a judgement as to where you draw the line, in terms of business/personal information, before you volunteer it to others. Whatever you submit to us, we'll treat it as business information. Any such information that you may submit to us, for any reason and by any means, will be discarded immediately. Padronius does not compile lists of personal or business information, nor do we sell, rent, make available, or share any information that you send to us to any third parties. Of course, this is not valid for the information that is included in the directory listings. As an advertising vehicle, the directory contains information that you request to, and is meant, to be made public. As mentioned above, that is your company's name [which is hyper-linked to the (URL) web address that you provide in your submission], and the business description. Limiting Collection. How much information are you required to submit for a directory listing? In order to make a directory submission, you are required to submit your company's name, your name, your phone number, your company's web address and a description of your business' services and/or products. You are also required to submit the URL of a web page where a reciprocal link has been added and the read and check the highlighted copyrights notes. You are not required to provide your e-mail address or other information. By not filling the not-required fields, you are not prevented from proceeding or submitting your listing. If, however, you do provide extra information, you do so on strictly voluntary basis. You can contact us at any time and ask to have your listing edited! There's no charge to have your listing/s edited, unless you make a habit of this. The ONLY information that appears on your published listing is your company's name [which is hyper-linked to the (URL) web address that you provide in your submission], and the business description that you provide. The required information that identifies you is for our records ONLY. Limiting Use, Disclosure and Retention. In cases where we discover content [that was submitted to us] and infringes on the copyright of others. Accuracy of Information | Limitation of Liability. AS WE DO NOT HAVE A WAY TO VERIFY THE ACCURACY, TRUTH OR COMPLETENESS OF THE MATERIAL AND INFORMATION - CONTENT - PROVIDED IN THIS SERVICE, Padronius MAKES NO REPRESENTATIONS OR WARRANTIES, EITHER EXPRESSED OR IMPLIED, OF ANY KIND CONCERNING THE ACCURACY, QUALITY, SAFETY OR SUITABILITY OF SERVICES ADVERTISED HEREIN, NOR DOES IT MAKE ANY SUGGESTIONS AS TO THE FITNESS FOR A PARTICULAR PURPOSE OR APPLICATIBILITY TO ANY OF THE ABOVE ISSUES. YOUR USE OF THE SERVICE IS AT YOUR SOLE RISK. BY TRANSFERRING THIS RESPONSIBILITY TO YOU - THE USERS - Padronius DISCLAIMS ANY RESPONSIBILITY FOR OR LIABILITY RELATED TO THE CONTENT OF ANY POSTING AND CANNOT BE HELD LIABLE FOR ANY DIRECT, INDIRECT OR CONSEQUENTIAL DAMAGES HOWEVER THEY MAY ARISE FROM THE USE OR MISUSE OF INFORMATION CONTAINED IN THE BUSINESS LISTINGS POSTED ON THIS SITE. Padronius Directory shall not be liable to any person or organization, in any manner whatsoever, from the use of information or materials found in its pages, or the inability to access this web site. Please remember that, when you are visiting padronius.com and making use of the information that you find here - you are, well, a visitor - and you agree to be bound by the rules of this domain which are spelled out throughout this page. Thank you. Padronius prides itself as a quality business reference directory. In respect to our visitors and all listed advertisers, and in order to preserve the quality and purpose of this service, we reserve the right to refuse inclusions in our directory of sites with content that is, or appears to be, pornographic or obscene, ambiguous, suspicious, offensive, provocative, hateful, discriminatory, defamatory or irrelevant to the purpose of this service (as a quality web reference) and whether that content is explicit or implied. We will not accept submissions of materials related to pyramid schemes, mlm, network-marketing, "branchising", club memberships, listings of any business opportunities which require up front or periodic payments or recruitment of other members or sub-distributors/agents. We will not list submissions that deal with inside information, proprietary and confidential information or infringes any patent, trademark, trade secret, copyright or intellectual property of any party. In order to continue to maintain a high-quality service, by submitting your business listing to the Padronius Directory, you grant us permission to send you occasional information about our new features and services. Web sites change their content all the time. Some, quite radically. If you happen to notice in this directory links to sites that contain some of the afore-mentioned content, please let us know and those links will be removed. Padronius Directory prides itself as a business-oriented and family-friendly web reference resource. We do not accept submissions of sites with content that is, or appears to be, pornographic or obscene, ambiguous, suspicious, offensive, provocative, hateful, discriminatory, defamatory or irrelevant to the purpose of this service (as a quality web reference) and whether that content is explicit or implied). BY USING AD REFERENCES FOUND ON THIS SITE, YOU UNDERSTAND AND AGREE THAT IF AND WHEN, YOU BECOME INVOLVED IN A DISPUTE WITH AN ADVERTISER LISTED IN ONE OF OUR DIRECTORY SECTIONS, YOU WILL NOT HOLD Padronius LIABLE OF ANY DAMAGES THAT MAY ARISE, DIRECT, INDIRECT, OR CONSEQUENTIAL FROM YOUR USE, OR MISUSE, OF INFORMATION CONTAINED IN ITS DIRECTORY LISTINGS. BY TRANSFERRING THIS RESPONSIBILITY TO ADVERTISERS, Padronius DISCLAIMS ANY RESPONSIBILITY FOR OR LIABILITY RELATED TO THE CONTENT SUBMITTED BY ANY PERSON OR BUSINESS TO THIS DIRECTORY. Obviously, Padronius Directory contains links to web sites owned by third parties. Since these sites are out of our control, Padronius does not endorse external sites, whether in content, performance of functionality. These links are provided as references, as an enhancement to this service, for your convenience, and at no charge to access them. Their inclusion in our website does not imply in any way, shape or manner that Padronius will not accept any responsibility or liability, for the content and/or functionality of other web sites. for the web sites that they point to, or the content that is made available there. Padronius Directory does not endorse the services and practices, or the businesses behind these sites. Safeguards: The performance, functionality and purpose of padronius.com are closely monitored by our editorial and technical staff. Any attempts to temper with the site, its content, performance, email programs, webpages and/or hosting configuration will be recorded and reported to authorities. Copyrights: We are a web content management company - we are in the business of searching and researching the internet and online content. Should we find (and we WILL) - when reasons/concerns are presented to us - any content of Padronius copied or duplicated without our written permission, we will track you and follow up on all copyright infringements with the proper authorities. The content, graphics and html code of this Internet site are protected by Canadian and International Copyright Laws. Any use of Padronius's content is expressly forbidden. Openness. Where do you find information about our policies and practices? Individual Access. How do you know what information we have about you? If you have made a submission to us by using one of the dedicated pages and can no longer remember what information you sent to us at that time, you can contact us at any time by e-mail or phone and ask to have that information sent to you. If you have any questions or concerns about our policies and practices, please contact us. Copyright Infringements. How should YOU, and how DO WE deal with them? No part of Padronius.com (or of any of its digital domains) may be copied, published, hosted, or distributed by any means without prior and explicit, written permission from the copyright owner. The content, graphics and html code of this website are protected by Canadian and International Copyright Laws. The use of any directory or listing of companies or individual names for the purpose of compiling further mailing or eMailing lists, creating promotional materials or producing printed or electronic copies of them is expressly forbidden. Copyrights issues go beyond the obvious. 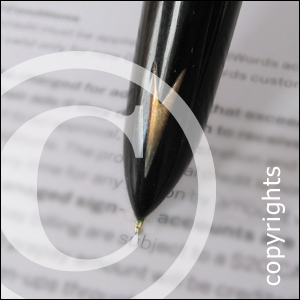 Please read our copyrights section. Legal references. 'Fine Print' Matters. For more issues regarding our services, our business conduct, policies, copyrights and other terms of service, please go to our 'fineprint' documentation. Please contact us with any issues or concerns that you may have with regards to this policy.